One of the most instantly recognisable figures in the annals of British screen comedy, Terry-Thomas was born on 10 July 1911 and Cinema Paradiso celebrates his birthday with an appreciation of his distinctive gifts and his finest performances. Although he was famed for playing upper-class cads, Thomas Terry Hoar-Stevens was the son of a Smithfield Market butcher. He started performing as a child in an effort to stop his alcoholic parents arguing and was bitten by the acting bug during his frequent visits to the Golders Green Hippodrome. Modelling his plummy accent on matinee idol Owen Nares and his natty dress sense on silent superstar Douglas Fairbanks, the young Tom played the ukulele in the school band at Ardingly College before appearing before an adult audience for the first time in the role of Lord Trench in an amateur production of The Dover Road. On leaving school, Tom so impressed his workmates at a Smithfield cold storage company with his impersonations and comic monologues involving such self-created characters as Colonel Featherstonehaugh-Bumleigh and Cora Chessington-Crabbe that he was invited to do a comic turn at the Union of Electric Railwayman's Dining Club in South Kensington. Delighted to be paid for fooling around, Thos Stevens (as he was billed) moved into a flat with a friend who worked as a movie extra and made his uncredited screen bow in Alexander Korda's Oscar winner, The Private Life of Henry VIII (1933). Over the next eight years, he took 15 more walk-ons, although a plunge into the Elstree water tank while making This'll Make You Whistle (1936) permanently damaged his hearing. Now part of a comedy dancing act with his South African wife, Pat Patlanski, Terry Thomas enhanced his reputation entertaining the troops with ENSA and the Stars in Battledress troupe during the Second World War. His reward was a slot in the hit revue, Piccadilly Hayride (1946-48), in which he performed his famous 'Technical Hitch' sketch, as a BBC radio announcer who has to improvise while having problems with some records. During the course of the West End run, he decided to call himself Terry-Thomas and joked that the hyphen bridged the trademark 1/3-inch gap between his two front teeth. Not that anyone got to see this diastema, while he was fronting the BBC radio show, To Town With Terry. But they became as familiar as the monocle, cigarette holder and raffish waistcoats that he sported at this time, when he was hired to present the first comedy series on British television, How Do You View? (1949-52). Over the next few years, Terry-Thomas became a fixture on radio and television, as well as in cabaret and pantomime. 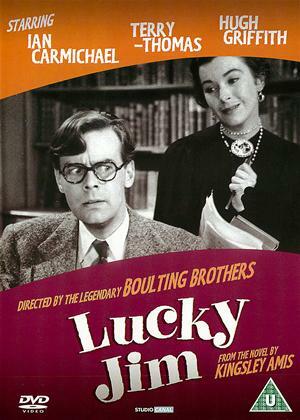 Moreover, he took another crack at the cinema and teamed with Patlanski and a young Norman Wisdom in Date With a Dream (1948). Eight years were to pass before his big breakthrough, however, when he followed a scene-stealing turn as an assassin's mistaken target in Robert Day's The Green Man with the part of a crooked army officer in the Boulting brothers classic, Private's Progress (both 1956). 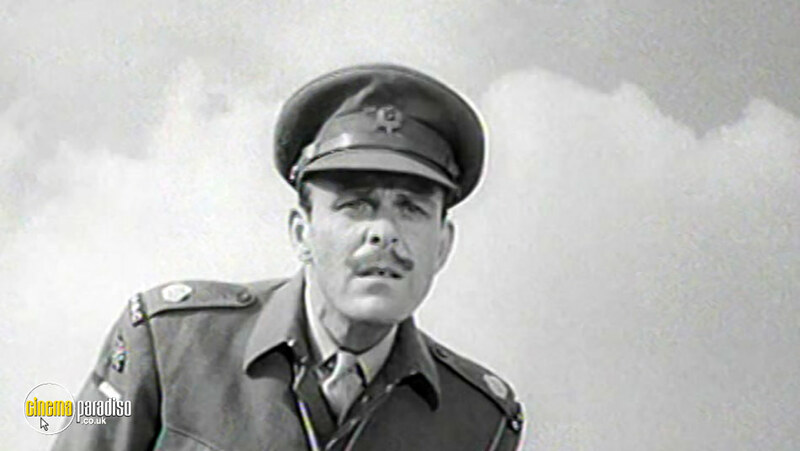 Raspingly dismissing his charges as 'an absolute shower', Terry-Thomas would reprise the role of Major Hitchcock in I'm All Right, Jack (1959) and further reunite with co-star Ian Carmichael as a spiv with a nose for a legal loophole in Roy Boulting's Brothers in Law (1957). However, he was still learning his trade and needed 107 takes to complete one scene set in a crowded pub. Having tipped his cap at PC Ruby Gates (Joyce Grenfell) as Romney Carlton-Ricketts in Launder and Gilliat's Blue Murder at St Trinian's (1957), Terry-Thomas earned his first and only BAFTA nomination for his work as Ivan opposite Peter Sellers in George Pal's Tom Thumb (1958). But, following a string of iconic performances (many of which feature in Cinema Paradiso's Top 10), he somewhat missed his step as World Health Organisation detective Archibald Bannister in Don Chaffey's A Matter of WHO (1961) and decided to try his luck in Hollywood. 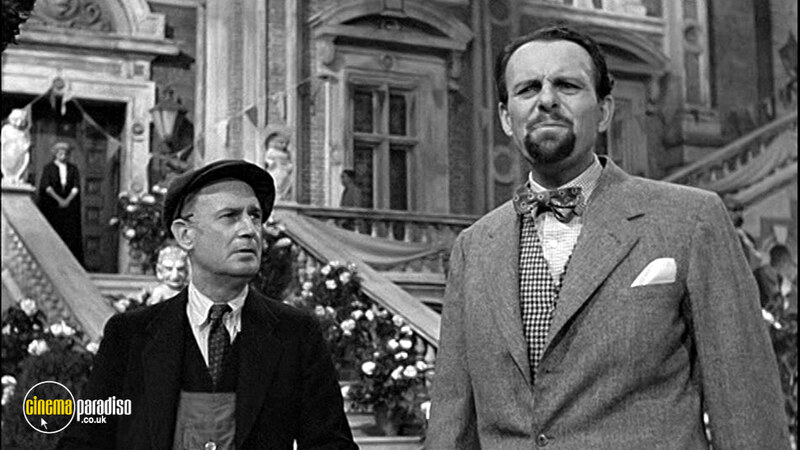 Rather playing against type as an anthropology professor who proves irresistible to women in Frank Tashlin's Bachelor Flat (1961), Terry-Thomas found himself playing British bounders in madcap ensemble pictures like Stanley Kramer's It's a Mad, Mad, Mad, Mad World (1963) and Ken Annakin's Those Magnificent Men in Their Flying Machines (1965) and Monte Carlo or Bust! (1969). Yet it was his performance as bungling spy Maurice Spender in Richard Lester's The Mouse on the Moon (1963) that earned him a Golden Globe nomination and Terry-Thomas continued to return to Blighty in between assignments like Earl Bellamy's Munster, Go Home! (1966), Gene Kelly's A Guide for the Married Man (1967) and Hy Averback's Doris Day vehicle, Where Were You When the Lights Went Out? (1968). 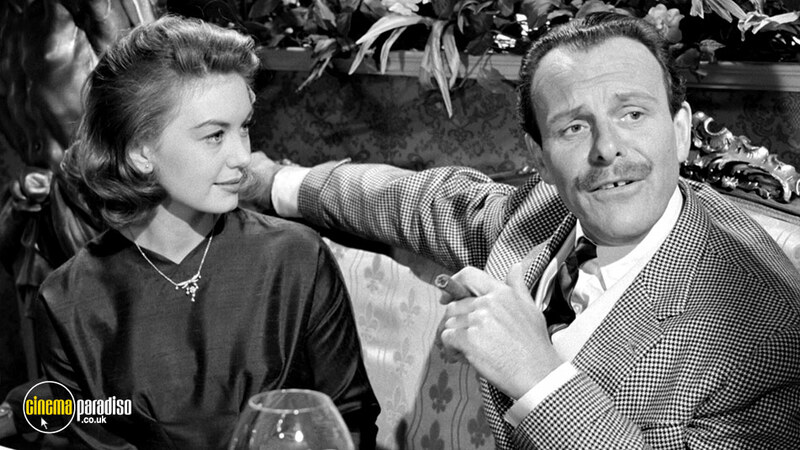 Uninspired by Kelly's lethargic direction and Day's controlling egotism, Terry-Thomas opted to cut his losses and juggled UK projects like Robert Asher's Make Mine Mink (1960), Michael Winner's You Must Be Joking! (1965) and Don Sharp's Rocket to the Moon (1967) with amusing guest slots in such continental co-productions as Mauro Bolognini's Arabella (1967) and Mario Bava's cult comic-strip caper, Danger: Diabolik (1968). Steering clear of the Carry Ons (even though they were written by his former TV scribe, Talbot Rothwell), Terry-Thomas also cropped up in a clutch of comic horrors. Robert Fuest cast him as Longstreet, a doctor who is interrupted while watching a saucy belly-dancing movie by Vincent Price and his evil daughter in The Abominable Dr. Phibes (1971), and also as a pompous shipping agent named Lombardo in the sequel, Dr. Phibes Rises Again (1972). More ghoulishly, he comes to regret asking trophy wife Glynis Johns why she can't do anything neatly in an incisive segment in Roy Ward Baker's portmanteau chiller, The Vault of Horror (1973). But, shortly after becoming the first-ever guest on Michael Parkinson's chat show in 1970, Terry-Thomas was diagnosed with Parkinson's Disease. He tried to hide the effects while making such scattershot comedies as Bob Kellett's Spanish Fly (1976), Marty Feldman's The Last Remake of Beau Geste (1977) and Paul Morrisey's The Hound of the Baskervilles (1978), which starred Peter Cook and Dudley Moore as Sherlock Holmes and Dr Watson. But he was forced to turn down Derek Jarman's offer to appear in The Tempest (1979) and fell on such hard times in his later years that a benefit concert was staged in 1989 to raise funds for him to move into the Busbridge Hall nursing home in Godalming, where he died at the age of 78 on 8 January 1990. Among the many tributes, Jack Lemmon called him 'a consummate professional' who made everything look easy, while Lionel Jeffries dubbed him 'the last of the great gentlemen of the cinema'. Quite simply, he was the King of Knaves and a master of his craft. 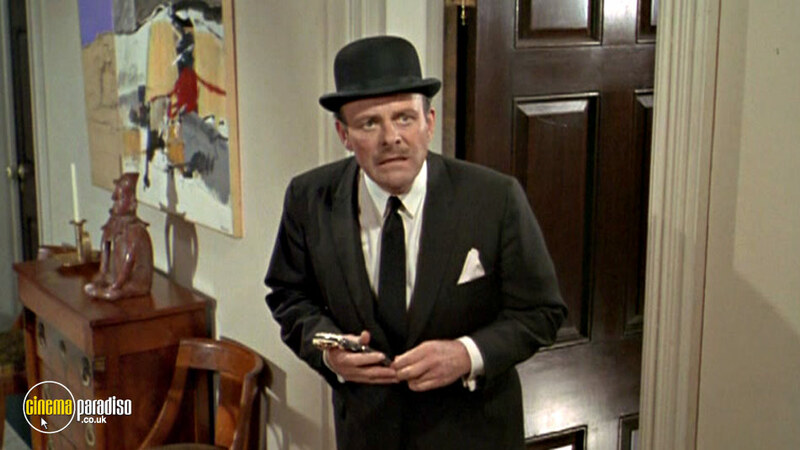 Terry-Thomas's TV sketch show set the tone for this Monty Berman and Robert S. Barker romp, in which he adopts a number of disguises as a private eye investigating a string of burglaries linked to Gwynneth Vaughan's nightclub. 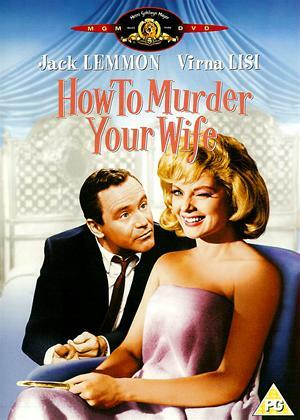 Posing as an Italian waiter, T-T manages to upset several customers before he passes himself off as a German psychoanalyst in order to quiz suspect Michael Balfour's ditzy girlfriend, Lilian Grey. Unsurprisingly, the gap in his teeth gives him away and he has no more luck impersonating a haughty army officer and a bobby on the beat. It's interesting to compare this exercise in Wodehousian silly-assery with another multi-role assignment, as Terry-Thomas relied on 'the help of wigs, moustaches and lashings of Max Factor' to play a snooty hotel manager, a lecherous general and a despairing duke alongside Virna Lisi in Mauro Bolognini's damsel in distress farce, Arabella (1967), which marked the last screen appearance of the ever-marvellous Margaret Rutherford. During the war, Roy and John Boulting had served with the Army Film and Photographic Unit and were well versed in the workings of the propaganda machine. Thus, they consciously adapted Alan Hackney's novel as an antidote to the tales of derring-do that were being churned out to offset Britain's postwar decline. This winking study in skullduggery presented Terry-Thomas with one of his best-known catchphrases, as he bumps into the raw recruits under his command at Gravestone Barracks at the cinema and dubs them 'an absolute shower'. 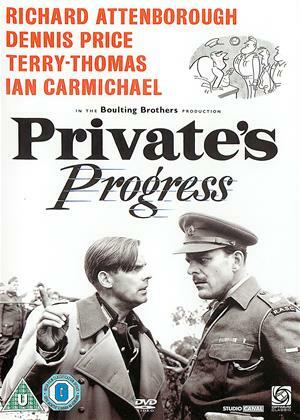 Major Hitchcock is hardly a paragon, however, as he is in cahoots with Brigadier Bertram Tracepurcel (Dennis Price) and Sidney De Vere Cox (Richard Attenborough) in Operation Hatrack, which involves hapless hero Stanley Windrush (Ian Carmichael) in a plot to steal some priceless artworks. The principals would reunite in the labour relations satire, I'm All Right, Jack (1959), with Hitchcock as the dyspeptic personnel officer at Tracepurcel's dodgy engineering company. 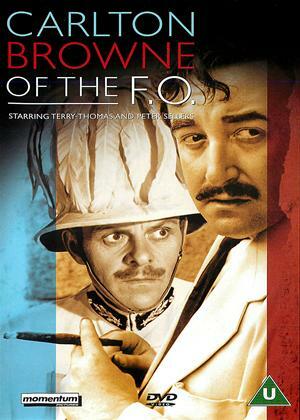 Novelist Kingsley Amis was convinced that Terry-Thomas had been miscast as pretentious writer Bertrand Welch in this adaptation of his bestselling satire on university life. He might have had a point, as T-T was actually a year older than Hugh Griffith, who was playing his history professor father. But John and Roy Boulting (who had inherited the project from Charles Crichton) had come to trust Terry-Thomas's instincts. Thus, from the moment he enters singing the madrigal that is taxing campus novice Ian Carmichael, he plays the part of an academic snob seeking to exploit his father's contacts with a hissable air of sneering arrogance. Whether bungling the floral decorations for a grand ball, buttering up the chancellor he hopes will publish his book or fighting with Carmichael over girlfriend Sharon Acker, Terry-Thomas knowingly captures the sense of unearned entitlement that 'angry young men' like Amis were railing against. 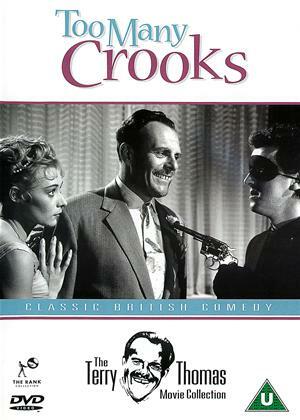 The first of Terry-Thomas's four collaborations with Peter Sellers proved an uncomfortable experience, as he suffered from lumbago throughout the shoot and wound up in court on an unproven charge of being drunk and disorderly after mixing painkillers and champagne at a Christmas party. Ever the professional, however, Terry-Thomas soldiered on, ironically becoming the worse for wear at one point when his drink is spiked and he is bundled out of a hamper into a freezing cold pond. He also falls into the Thames in the course of Mario Zampi's mischievous comedy, as his rascally aristocrat is blackmailed by scandal sheet publisher, Dennis Price. Sellers, Peggy Mount and Shirley Eaton also risk having their pasts exposed before they join murderous forces. But T-T's best scenes take place on the staircase of his spacious townhouse, as wife Georgina Cookson catches him sneaking in after another misadventure and casts aspersions over his dubious excuses for looking so dishevelled. Reuniting with Mario Zampi, Terry-Thomas plays the ultimate rotter in this spirited study of (dis)honour among thieves. Embroiled in a battle with the Inland Revenue, Billy Gordon doesn't trust banks and keeps his cash in secret stashes. However, when he refuses to pay a £25,000 ransom for the return of his kidnapped wife, she wreaks her revenge with the help of the gang who had abducted her. Brenda De Banzie splendidly demonstrates that hell hath no fury like a woman scorned, while George Cole is on bumbling form as the clueless criminal mastermind whose incompetence exasperates cohorts Sid James and Bernard Bresslaw. 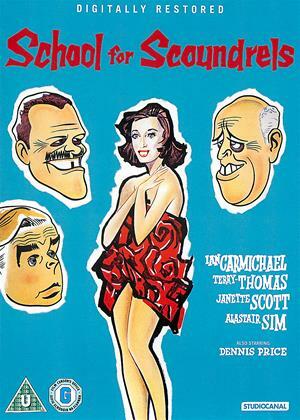 But this is one of Terry-Thomas's best showcases, as he flirts shamelessly with a female journalist, refuses to part with £200 to recover De Banzie, bluffs his way through an awkward encounter with James and Bresslaw posing as cops, and endures a nightmare day in court with incredulous magistrate John Le Mesurier. The least regarded of the Boultings' institutional satires, this is a witty dissection of Britain's postwar decline, the struggle for colonial independence and the limited power of the United Nations to affect the Cold War. 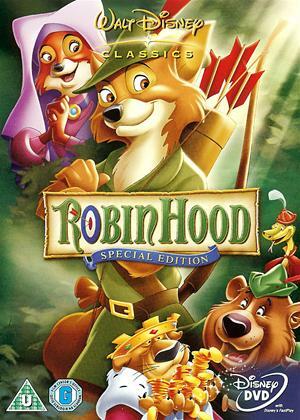 Notwithstanding its anticipation of the Cuban crisis, the storyline has much in common with Jack Arnold's The Mouse That Roared, which appeared in cinemas a couple of months later. 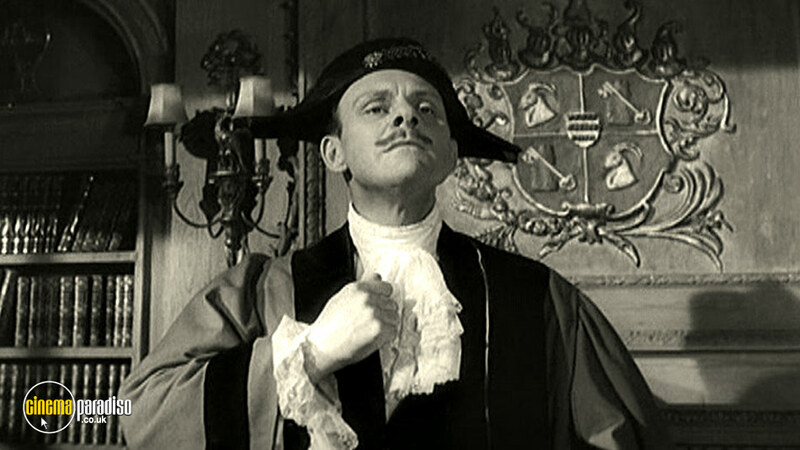 But the focus falls firmly on Terry-Thomas as Cadogan De Vere Carlton-Browne, who, as head of the Department of Miscellaneous Territories, is sent to the forgotten island of Gaillardia to keep valuable deposits of cobalt out of Soviet hands and prevent a scheming grand duke from usurping his Oxford-educated nephew. Playing a man described as 'rubble from the nostrils up', T-T switches effortlessly from bounder to bungler, as he is outwitted by Machiavellian prime minister Peter Sellers and flukily manages to prevent an international incident. Given Britain's current travails, this diplomatic farce seems disconcertingly topical. 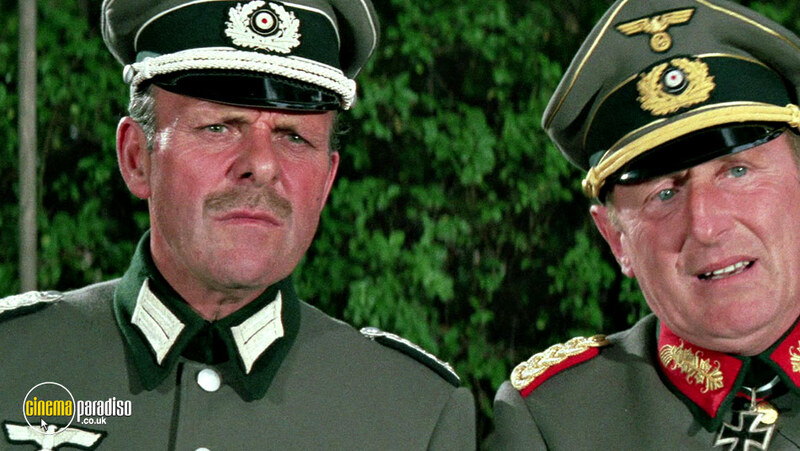 Adapted from Stephen Potter's satirical self-help books and subtitled 'How to Win Without Actually Cheating', Robert Hamer's comedy of social cruelty showcases Terry-Thomas's roguery at its most raffish. 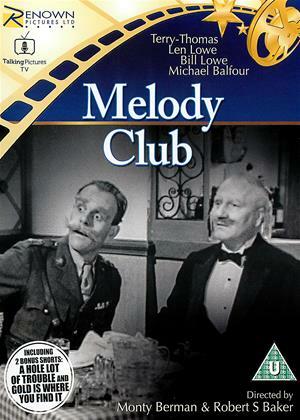 As Raymond Delauney, he goes out of his way to upstage fellow clubman Henry Palfrey (Ian Carmichael) and ruin his blossoming relationship with April Smith (Janette Scott). He turns on the charm when he runs into the couple at a swanky restaurant ('Oh, to be in England now April's here') and humiliates Palfrey on the tennis court with his effortless strokes, dubious line decisions and gratingly insincere calls of 'hard cheese' each time his opponent errs. The tables are eventually turned after Palfrey visits the College of Lifemanship run by Stephen Potter (Alastair Sim) in Yeovil. But the highlights centre on Delauney's insufferable sense of sneering superiority, which carried over into real life when Terry-Thomas opened fire with a ping-pong gun on some policemen about to give him a parking ticket. 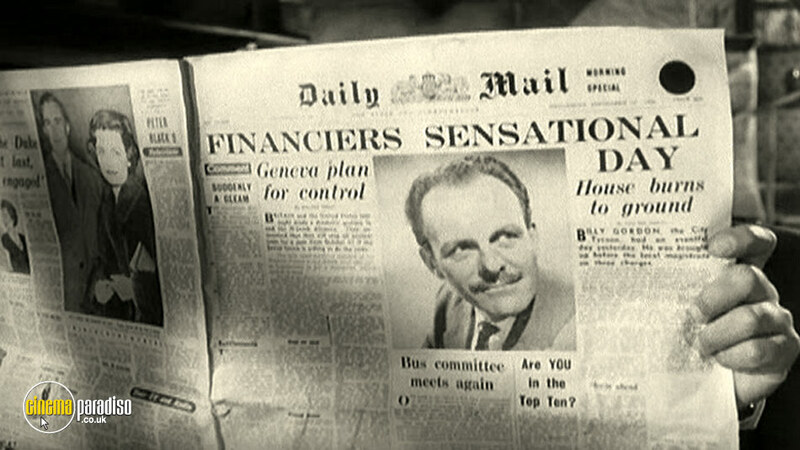 Terry-Thomas earned the biggest payday of his career when United Artists forked out £100,000 for his services in Richard Quine's intricately structured battle of the sexes. The story might seem a little misanthropic today, but this dark farce is not to be taken at face value. 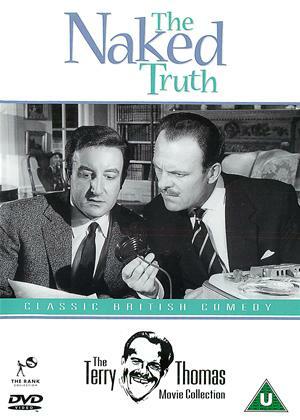 After all, its protagonist is Stanley Ford (Jack Lemmon), a comic-strip cartoonist who has butler Charles Firbank (Terry-Thomas) photograph him enacting the exploits of his secret agent hero, Bash Brannigan, in order to ensure their authenticity. But the idyllic bachelor existence that Charles describes in the opening guided tour of their chic New York abode is shattered when Ford drunkenly marries the Italian girl (Virna Lisi) who jumps out of a cake at a stag do. Hailing from the Jeeves school of English buttling, Charles suits T-T to a tee and his mounting pique, as Mrs Ford imposes her will on the household, perfectly demonstrates his mastery of comic characterisation and timing. 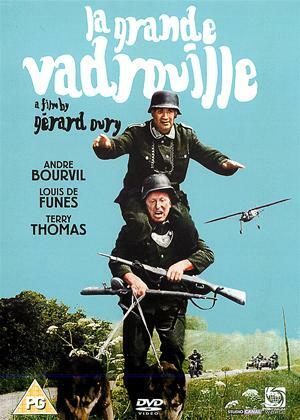 La Grande Vadrouille (1966) Don't Look Now... We're Being Shot At! From Frank Launder's Two Thousand Women (1944) to the BBC sitcom, 'Allo 'Allo (1982-92), plucky civilians have been hiding British airmen from the Nazis. In Gérard Oury's comedy, the RAF bomber crew that parachutes into Paris is led by Sir Reginald (Terry-Thomas), who has no idea how to get to the rendezvous at a well-known Turkish bath. Seeking to keep the Brits out of the clutches of Major Achbach (Benno Sterzenbach) are painter Augustin Bouvet (Bourvil) and highly strung conductor Stanislas Lefort (Louis De Funès), whose double act helped sell the 17 million tickets that makes this the third most popular film in French screen history behind James Cameron's Titanic (1997) and Dany Boon's Welcome to the Sticks (2008). 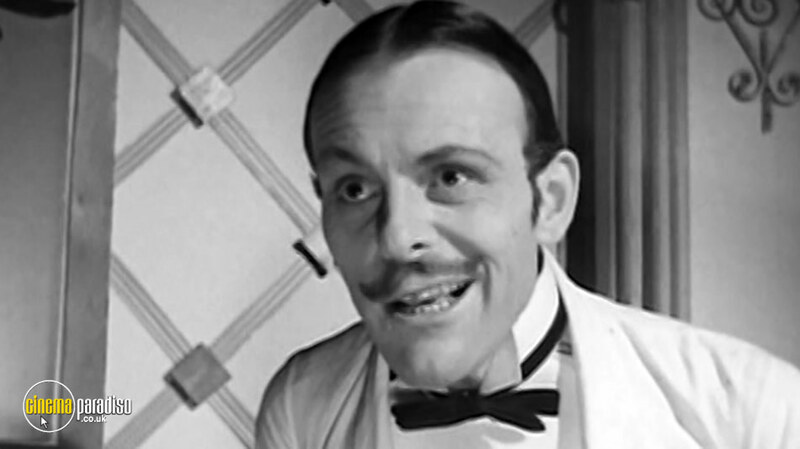 For once shorn of his trademark moustache, Terry-Thomas relishes the blend of verbal wit and slapstick schtick. It's essentially Carry On Vichy, but it looks like an art film thanks to cinematographer Claude Renoir and production designer Jean André. 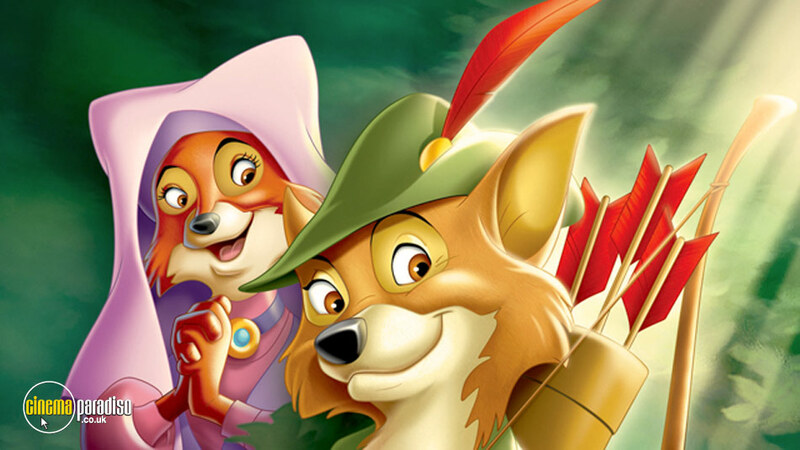 With his health failing, Terry-Thomas readily accepted an invitation to voice Sir Hiss in Disney's animated sojourn in Sherwood Forest. Playing the reptilian adviser to Prince John, T-T relished the sibilant dialogue, which was made all the more amusing by the fact that Hiss had gapped front teeth for his forked tongue to dart between. Indeed, his exchanges with Peter Ustinov, as the cowardly lion ruling England in the absence of his brother, King Richard, are the comic highlights of the film. Their banter in the carriage ride to Nottingham is particularly amusing, as Hiss boasts of hypnotising Richard into going on a crusade before attempting to use his spiralling eyes technique to cure PJ of his thumb-sucking habit. This bit of business was borrowed from another disreputable snake, Kaa in The Jungle Book (1967), who was voiced by the equally mellifluous George Sanders. But there's something irresistible about Terry-Thomas tutting incredulously at being described as 'a silly serpent'. If you're interested in more of this type of comedy and laughs, browse through our vast catalogue of British classic comedies and you'll find plenty of titles that'll suit your tastes.